On Tuesday evening I walked past the Corner House pub. It looked already as if it had never been a pub. Metal grilles covered all its windows. Obviously I knew it had closed, I’ve written about it a couple of times recently. But it was only when I saw the grey metal on its windows and how it looks now that I realised how troubled I felt at the way this place had been blanked out, so quickly. It was one of those occasions when one building seems to stand for something much bigger. It reminded me of the Barratt signs at the edge of the garden around Burton Croft, just up the road, years back, announcing ‘LAND ACQUIRED’. In the middle of that garden was a house people had cared about. It was just acquired property to the property developer. Same here. A place I passed where the lights were always on, the doors were open, people were inside or out on the steps, now all silent and dead, grey shutters across the windows, no lights on, no one home. The dead hand of big business has reached in to something it didn’t understand or value and just turned all the lights off, and said, it’s not yours anymore, it’s ours. Like all the other places money buys. You lot, you’re too poor, you don’t matter. That’s what it says, from its blank shuttered face. And it’s going to sit there, looking ugly and empty, in the middle of our local community. It looks like something from one of the riot-hit areas of the 1980s. Tesco and Marston’s pub company don’t have to look at it. We do. I got in and directed an angry tweet at Tesco. Then realised how futile and pointless it was, being angry at the massive omnipresent Tesco. Like shaking your fist at a torrential downpour. Still, it needs saying. I drafted this page on Tuesday evening. It’s Friday evening now, and I still think it needs saying. I feel angry on behalf of the pub’s regular customers, on behalf of the landlord who worked hard, but most of all on behalf of my neighbourhood, which has lost a pub and is getting a Tesco whether it likes it or not. 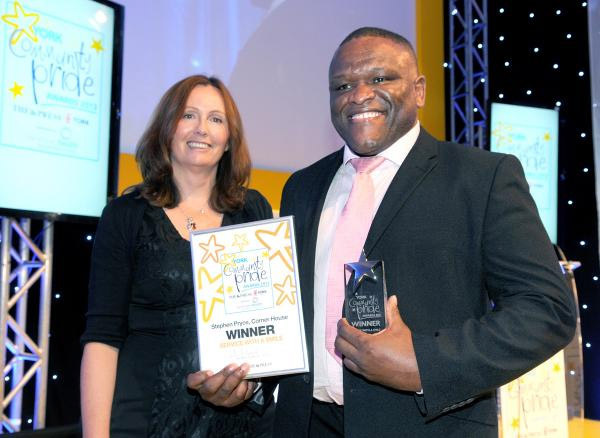 ‘I love my job’, he said, when receiving the award. A job he’s now lost, just a year later, because the pub company sold the pub to Tesco. This isn’t just about a particular pub in a particular area. I think we all know it’s a bigger issue than that. And it isn’t just about supermarkets buying suburban pubs from the big pub companies. This is being covered very well by the Press and by local campaigners (see links below). What I’m thinking about most is the massive contrast between what has been happening in the Bishopthorpe Road area and what has happened here in Clifton. Over there they’ve taken steps to protect the Winning Post. We just let Tesco buy the Corner House, and did nothing. Over on Bishy Rd (as we all seem to call it now — we always did, when chatting, but not usually in writing, until recently) the Winning Post has just been ‘saved’, as the Press put it. It’s one of those oversimplified headlines — it hasn’t actually been saved from all supermarket threats forever, it’s just got a layer of protection it didn’t have before. The point is that the local community — in the form of the local trade association — took action to have the Winning Post recognised for its community value, and they did this before there’s any threat from a supermarket to buy it. Whereas here, over in Clifton, the purchase of the local pub by Tesco happened quickly and quietly, with apparently no challenge at all. It might be that it would have closed anyway, but it closed so quickly and with so little protest, that’s what seems so wrong. And it’s just part of a bigger picture, something that needs to change, something we all need to play a part in if we care about our local communities. The other moment I’d like to mention from Tuesday night’s short walk across my local patch was just before I saw the boarded-up Corner House pub. A few minutes before, at the chip shop in the short parade of shops further along. I saw a sign on the door about a petition to protect another local asset under threat. I asked about it in the shop, and the young woman said: ‘They’re closing our community centre’. Heading home, back up Burton Stone Lane, I was thinking about that comment, ‘They’re closing our community centre’, and then I passed the Corner House, with its blanked out look, like it had been removed from the neighbourhood. ‘They’re closing our community centre’, and they’ve taken our pub. It’s a different ‘they’, but these things felt linked, and all the way home and since I’ve been thinking about this. I’ve also been thinking about the differences between the thriving Bishy Road area and my apparently dying Clifton neighbourhood. I knew about the threat to the community centre, not because I use it but because I’ve read about it online. I wanted to sign the petition, but they didn’t have it in the chip shop, they just had the notice about it being handed over. I haven’t seen it in any of the other shops, and haven’t seen anything about it online. Something wrong here, in Clifton. All a bit disjointed and powerless, aren’t we. ‘They’re closing our community centre’. Who are ‘they’ and who is ‘us’, who’s the ‘our’? I’ve thought about this a lot in recent months. But right now it looks sharp and stark, because of the boarded-up pub, and that comment. In the case of the threat to the community centre, ‘they’ is the council. But the council, in the 21st century, shouldn’t still look like ‘they’ to the citizens, shouldn’t be something/someone imposing things/taking things away, the enemy, the lord of the manor with the power to decide everything that happens. ‘They’, the council, is just made up of individuals like ‘us’. 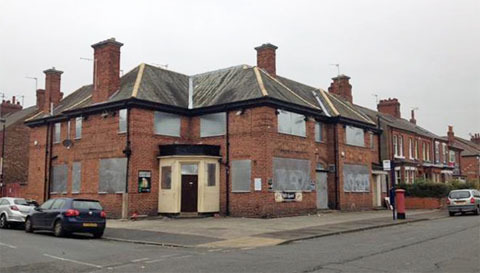 The loss of the pub — the ‘they’ are the pub company and Tesco — big businesses with a massive turnover and massive wealth and massive power, but ‘we’ — residents and our representatives, the local councillors — should have done more to challenge, not just laid down and let it all ride over us, an inevitable thing. It’s not the 1950s, we do have power and tools at our disposal, the internet and social media for example — but we failed. Nothing links up around here, and so it’s just individual sad voices lamenting loss. And a petition I wanted to sign but couldn’t find. And a pub gone forever which, in a different part of York, might still be a pub. I hope that whoever is elected to serve Clifton in the 2015 elections does their best to link us up better than this, and to inform us of our powers and our rights. I’ll be doing my bit, in my own way, I’ve tried already. 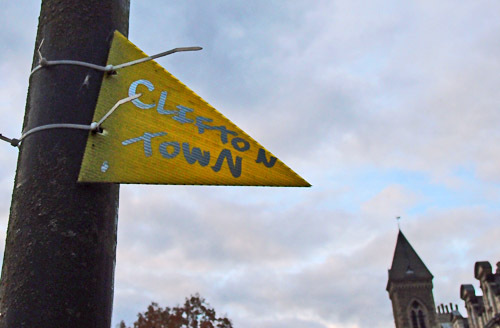 But it isn’t just about Clifton, it’s about all our communities, and about knowing our own power and rights and claiming them, and trying, and not thinking that ‘they’ can take whatever they like from ‘us’, the things that are, or were, ours. ‘Them’ and ‘us’ needs some merging, and ‘we’, all of us, need to care more and do more about the things on our patch, and perhaps stop thinking that someone else will do it for us. To be fair on the Corner House, I’ve lived in the area for 14 years and I can quite honestly say that it was one of the worst pubs in York. Nothing to do with the actual building, just the clientel and atmosphere. Horrible place, a real community pub for thieves, drug dealers and racists. Much prefer the old grey mare and burton stone, both pubs have a better history. 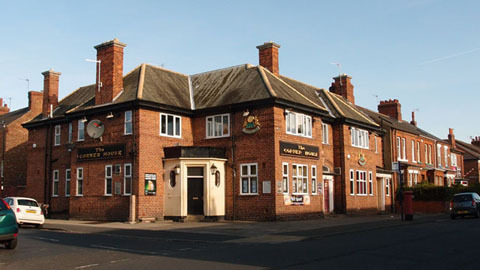 It’s funny all these out of town York landlords making such a fuss now it’s closing, where were they when Marstons could have given it too them five years ago?? It even had a huge banner outside “WANT TO RUN A PUB”. Of course the Bishy Road Mafia, knowing what the area is like and the problems of the pub wouldn’t touch it with a barge pole! I have lived in the area since 1974 and can agree with you to some point, I used to frequent the pub in the 80’s and early 90’s when it was a good decent pub , and then stopped going in when it started getting a bit of a name, you did move into the area during the pubs bad times , it did indeed become a bit of an unsavoury place but if you actually went in the pub over the last 4 years you would have seen that the landlord kicked out the thieves, drug dealers and racists and turned it into possibly one of the friendliest pubs in York,quite a lot of the people (me included) who bypassed the place started to go back in , even the local vicar and some of his parishioners started to frequent the place, the vicar even had a farewell party in there a month back, and Steve the landlord did loads to raise money for various charities, he turned that pub around from what you described into a good pub full of hardworking decent people. I’m guessing you weren’t a regular then Josef, have you even met the landlord Mr Pryce? The last time I was in there the landlord was very pleasant and welcoming, the customers were all chatting away in a friendly manner and I enjoyed myself. I definitely heard no racist comments and nothing about the place would deter me from calling in again. A damn shame it it will no doubt be turned into a more profitable business to line the pockets of people who don’t care about the local community. I wish Mr Pryce all the best for the future, a good and caring man. A story from the Press from 2011: Drugs cops shut down Corner House pub in Burton Stone Lane after raid, which fits with what Josef said above, the Press has other stories too from a few years before that about trouble in the pub. But many other stories from recent years reflect what Bryan and Dave said about the place, eg this one about a charity event in 2012 and others like this. Sounds like it had become a proper community pub. Regarding the racism – yes, against the landlord – reported in this story in the Press – who according to this report had asked some rowdy drinkers to lower their voices and then asked them to leave. Sounds like a well-run pub to me. Anyway, soon to be a Tesco, so I guess we’d better accept it.